What if the Arabic letter N (for Nasara, an early Islamic term for Christians) were spray painted on the front door of homes and businesses of Christians in my town? What if terrorists gave me the choice to convert to Islam, leave town, or die? What would I do? Would I be as courageous as the thousands of Christians in Iraq who refused to deny Jesus and fled with little more than the clothes on their backs? One hundred million Christians worldwide will suffer persecution, imprisonment, or death this year because they are Christians. The numbers are startling! Don’t let the shock value wear off. Don’t become numb to the plight of Christians who are facing terrorism. Jesus sent his disciples out into the world where they would face hardship and death. He prayed for them. Not that they would be insulated from danger. He prayed that their faith would be protected in the face of danger. We have the privilege of echoing that prayer, of praying with and for Christians worldwide on November 6, the International Day of Prayer for the Persecuted Church. I wrote this song as an expression of solidarity with persecuted believers. From the album “Main Street – Songs for Today” this video is scrolling playback of the song. 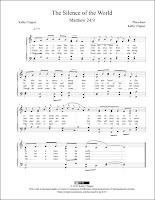 You can get print (PDF) and/or digital (MusicXML™) sheet music for The Silence of the World. 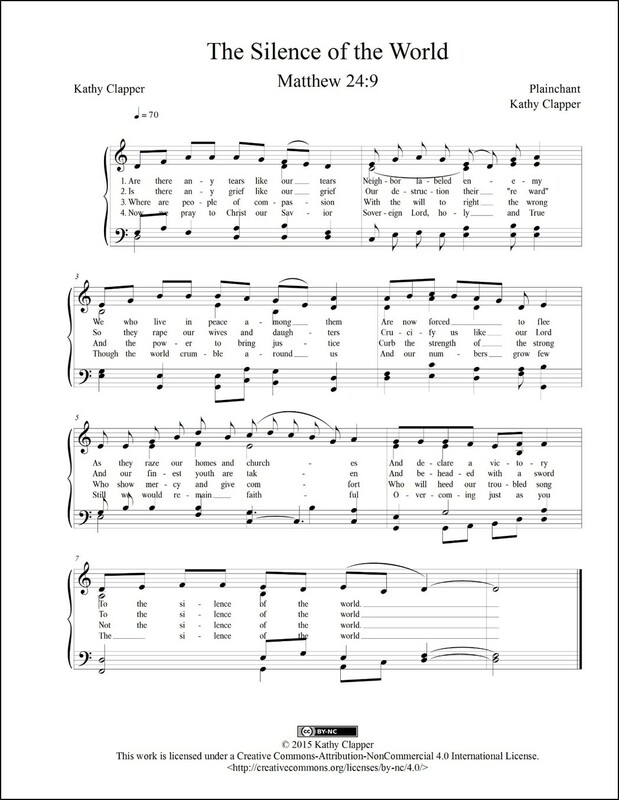 Click here for digital sheet music for SATB choir and piano. Click here for the 60 Minutes segment on Iraqi Christians. Click here to learn how to pray for the persecuted church.